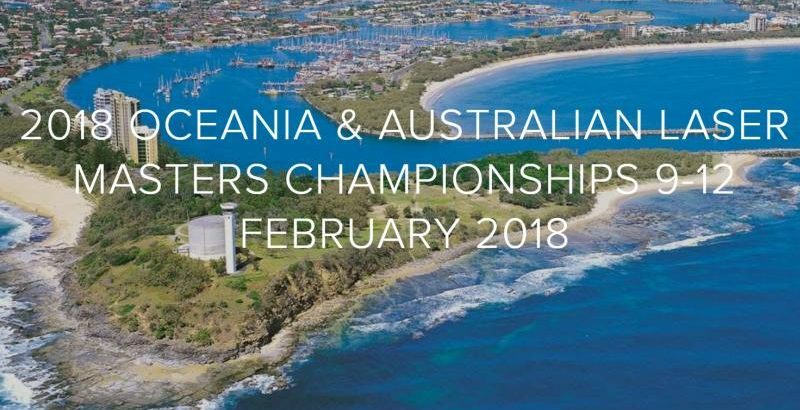 The 2018 Oceania & Australian Laser Masters Championships run by the Maroochy Sailing Club were sailed off Mooloolaba Queensland between 9-12 February 2018. This was a cracker of an event and not to be missed. Four days of great sailing off Mooloolaba – warm water, good winds and kind seas. Great competition and friendly rivalry on the water, and companionship on the beach. 162 competitors from all Australian States, New Zealand , USA and Europe sailed in three fleets; the Standards, the Radial Apprentice, Masters & Grand Masters, and the Radial Super Grand Masters & 4.7’s. The event web site HERE has lots of event photos. The full results are HERE.